The recipients of the 2017 President's Citation, awarded to alumni who have made important contributions to art, architecture, engineering or interdisciplinary studies, have been announced. 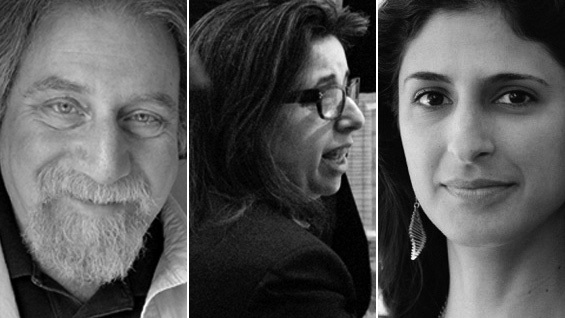 This year's recipients will be Bruce Degen A'66, Professor Diane H. Lewis AR'76 (posthumously) and Nina Tandon EE'01. The President's Citations are handed out during commencement, on May 25. Bruce Degen, a 1966 graduate of the School of Art, is a celebrated illustrator, painter, and printmaker best known for his award-winning children’s books including Daddy is a Doodlebug, Jamberry, and most notably the Jesse Bear and Magic School Bus series, the latter having 90 million books in print. His work has received numerous awards including the NEA Foundation Award for Outstanding Service to Public Education, the School Library Journal Best Books of the Year, the NCTE Notable Children’s Book in the Language Arts, a Reading Rainbow selection, a Horn Book Fanfare list, among many others. The late Professor Diane Lewis entered The Cooper Union in 1968 to study art and transferred to architecture two years later. She completed her studies in 1976 and was awarded the Rome Prize in Architecture, one of the youngest members to be honored by the American Academy in Rome. Professor Lewis received her early training in the offices of Richard Meier and Partners, and later, I. M. Pei and Partners. In 1982 Professor Lewis became the first woman architect appointed to The Cooper Union’s full-time faculty. A year later, she set up her own office, leading a focused and critical practice concentrating on competitions, urbanism, and built projects known for their exquisite refinement in both plan and detailing. She passed away in early May. In an age when few dedicate themselves to teaching as a craft, Professor Lewis' focus on creating a transformative space of learning is central to her legacy. Nina Tandon EE'01 is the CEO and co-founder of of EpiBone, a biotechnology startup developing ways for patients to “grow their own bone.” EpiBone uses patients’ own stem cells to build and grow a bone graft to repair any bone defect. These grafts will allow for simpler surgeries, shorter recoveries, and fewer complications caused by using foreign body implants. Founded in 2013, EpiBone is part of the START-UP New York program and is the world’s first company growing living bone for skeletal reconstruction. A TED senior fellow, she regularly gives talks about her scientific research, as well as the subject of women in the field of engineering. In 2015, Ms. Tandon was included on Crain’s New York Business list of “40 under 40” and was named one of the 100 Most Creative People in Business by Fast Company.